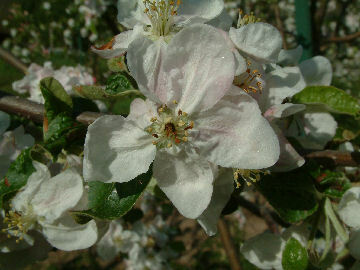 An extraordinarily sweet apple, so sweet that Lee Calhoun says the “first bite can be a shock.” It has no acid to balance the sweetness, so eating Golden Sweet can be like eating a tablespoon of honey. It originated in Connecticut, but details of its origin are unknown. It was once quite popular in the South and widely sold by Southern nurseries. 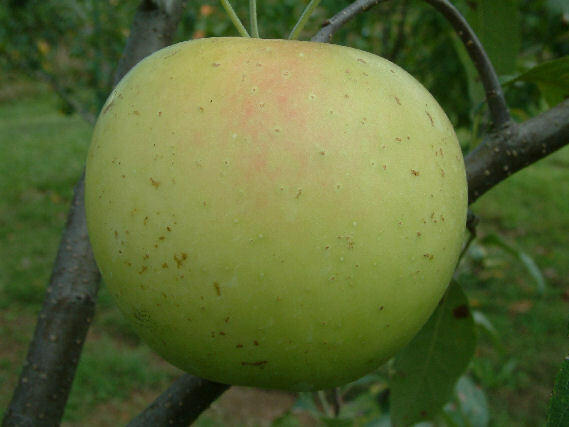 Fruit is medium to large with thin, smooth waxy yellow skin. The sweet yellow flesh is firm, juicy, and aromatic. Ripens mid to late fall. Do you have a golden sweet semi dwarf available for sale? We’re sorry but we do not have any Golden Sweet trees left in stock for this year but we will be grafting trees this coming spring for delivery in the fall of 2018. If you would like to order trees for delivery next fall just send your request by March 1st, 2018.